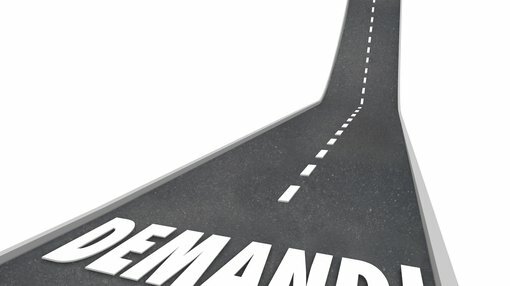 While it isn’t unusual to find spruikers making bullish comments when commodities or industries come under the spotlight at conferences such as the World Copper conference in Santiago, the weight of opinion backed up by material evidence suggests that copper is in for a strong and sustained increase in demand in the foreseeable future. In terms of the potential impact on the commodity price, there is already evidence of a contraction in supply, and with a mix of declines in production from historically large producing mines and disruptions at other projects, it would appear that the supply/demand dynamics will at least support the forecast price projections, and perhaps result in the commodity price outstripping current expectations. 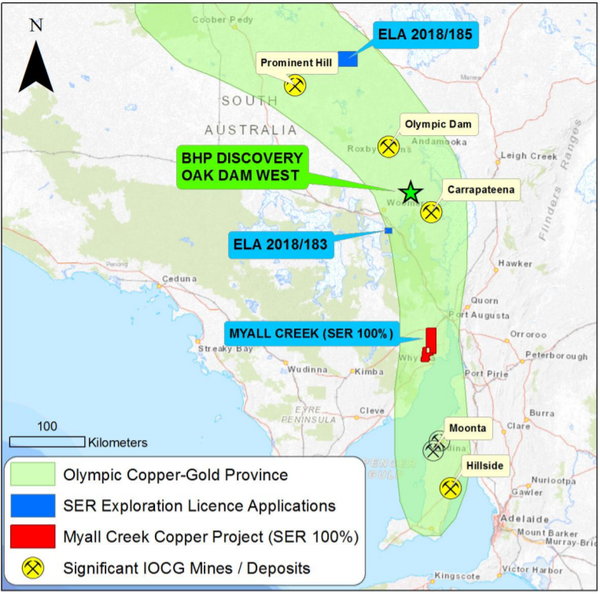 There is a junior up-and-coming ASX listed player with highly prospective tenements in BHP’s Olympic Dam copper-gold province that offers outstanding upside, particularly if it is successful in being awarded a licence in close proximity to Oz Minerals (ASX:OZL) large production, long life Prominent Hill project, also in the Iron Oxide Copper-Gold corridor. But more on that after we examine the outlook for copper in the near to medium-term. Looking firstly at the supply side of the equation, Eleni Joannides, a copper market analyst at consultancy Wood Mackenzie said, "From a numbers of perspectives we have a deficit in copper, and it's expected to be a tighter market in 2019 relative to last year." While analysts concede that the industry is moving to bring new supply online, this won’t occur overnight. Freeport-McMoRan Inc (NYSE:FCX), the world's largest publicly traded copper producer, cut its 2019 output forecast at Indonesia's Grasberg mines by more than half as it transitions to underground operations, a costly process that will take years. Elsewhere, Glencore PLC (LON:GLEN) halved its 2019 output from its Mutanda copper and cobalt mine in Democratic Republic of Congo to 100,000 tonnes. Meanwhile, data from various exchanges shows global visible inventory in the form of combined stocks held by the London Metal Exchange, Comex and the Shanghai Futures Exchange have nearly halved from a year ago to around 500,000 tonnes. Examining other metrics that tends to throw a light on commodity price movements, Reuters, reporting on the eve of the World Copper Conference in Santiago, highlighted a number of different perspectives in examining the outlook for the red metal in the near and medium-term. “Stockpiles of copper in LME-registered warehouses, meanwhile, are slipping back towards 11-year lows below 120,000 tonnes hit earlier this month,” Reuters reported. Industrial action is also likely to play a part in dragging on supply in the near to medium-term as workers in South America particularly strike for better pay and improved working conditions. Codelco which is owned by the Chilean government is the world’s largest copper producer, and management recently highlighted that it had to deal with 18 labour negotiations in 2018. Chief Executive Nelson Pizarro said the company produced nearly 1.7 million tonnes of copper at its own mines in 2018, down 3.3 percent from the previous year. Pizarro has predicted a copper price of US$2.95 per pound for 2019, exactly where it is trading at the moment. In an encouraging sign, the metal seems to have found support around the US$2.95 per pound mark since running hard from about US$2.60 per pound at the start of the year. Back to Codelco though, it is investing billions of dollars to convert its Chuquicamata mine, its second-largest deposit, from an open pit mine into an underground operation. Pizarro said the Chuquicamata project was nearly 80% complete, and it is a central part of a 10-year, $39 billion overhaul of the group’s key operations as it seeks to maintain production despite rapidly falling ore grades at its deposits. This underlines the long lead times in terms of bringing large projects into production that are likely to have a material impact on commodity prices. In the face of these challenging conditions, and arguably encouraged by the associated impact on the copper price, the industry is planning for substantial growth in the next decade. The exponential growth in the production of electric vehicles, which use twice as much copper as internal combustion engines will be a key driver. Well before 2030 ticks over, most major automotive manufacturers are vowing to produce all-electric fleets, and only in recent days Volkswagen confirmed that it would be all electric by the mid-2020’s with more than 70 pure electric models to be launched over the next 10 years. Roskill expects sales of electric vehicles powered by rechargeable lithium-ion batteries to rise to 17 million units, or 20% of the total in 2025, and 32 million, or 37% of the total, by 2030 compared with 2.1 million units or 3% last year. Taking into account this supply/demand backdrop, LME cash copper is expected to average US$6397 per tonne this year according to a Reuters poll of 30 analysts. Commodity price estimates framed by analysts at Macquarie are outlined below, and they indicate that the broker’s 2019 estimate of US$6493 per tonne (approximately US$2.95 per pound) is only slightly above Reuters’ poll. However, the real takeaway is the potential uptick in the broker’s price estimates between 2019 and 2023, with an expected increase of more than 30% from US$6493 per tonne to US$8475 per tonne. "I think we're heading into a bull market for copper," said Jefferies mining analyst Christopher LaFemina. Analysts are generally of the view that a lack of new supply and steady demand from traditional markets such as power and construction should keep the 25-million-tonne market in a slight deficit, providing price support. This suggests a ‘rising tide lifts all boats’ environment which usually translates to across-the-board share price increases for explorers and producers. Some of the best copper deposits have other minerals in commercial quantities, generating superior earnings and effectively driving down the costs of production. Some good examples of such deposits are located in the Iron Oxide Copper-Gold (IOCG) mineralised system in South Australia. This is home to some of the best producing mines in Australia, including BHP’s Olympic Dam and the $3.5 billion Oz Minerals’ Prominent Hill and Carrapateena projects. The location of these deposits is shown below, but arguably of more interest for investors looking to get in on the ground floor is the Myall Creek tenement, and the area close to Prominent Hill in Exploration Licence Application (ELA) 2018/185. What really makes it interesting is the fact that one company in Strategic Energy Resources (ASX:SER) owns 100% of Myall Creek and it has been granted exclusive first right to apply for a licence at 2018/185. Management has exercised this right, and following recent discussions with executive chairman, Stuart Rechner, appear that allocation of the licence should be forthcoming in the near term, a transformational development in terms of expanding the group’s position in a premium province. When news emerged on 30 November, 2018 that SER had pegged additional ground in the Olympic Dam Copper-Gold Province, including 2018/185 the company’s shares surged 75%. This isn’t surprising given that Prominent Hill produced 110,000 tonnes of copper and 130,000 ounces of gold in 2018 at all in sustaining costs of US$1.14 per pound. That implies a healthy margin of approximately US$1.80 per pound based on the current copper price. The dual production of gold and copper in this prolific IOCG province results in industry-wide low-cost operations due to the cash generated from gold credits in the course of copper production. Consequently, formal award of 2018/185 to SER could be a catalyst for further share price momentum. The good news for shareholders is that there are other potential share price drivers on the horizon, particularly in relation to the group’s Myall Creek holding. This holding came under particular attention when BHP released promising exploration results regarding a significant Iron Oxide Copper-Gold discovery at Oak Dam West in November 2018. At that stage, SER was exploring the same system on the eastern margin of the Gawler Craton, an area it knows intimately after a long history of operating in the region. 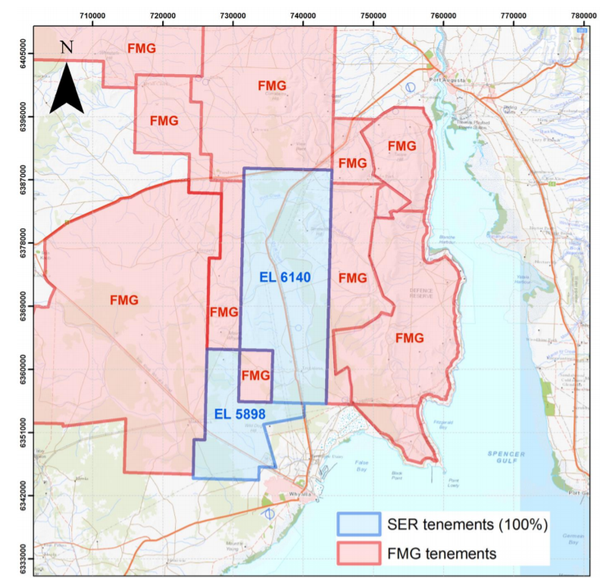 Management is keen to conduct a more comprehensive exploration program at Myall Creek, and this could be facilitated by a farm-in agreement or joint venture with the $24.8 billion Fortescue Metals Group (ASX:FMG), particularly given the holding is strategically positioned relative to the extensive landholding Fortescue holds in the Gawler Craton. As indicated below, FMG’s landholdings share common borders with most of the Myall Creek tenement Holdings. Should a proposal be forthcoming from FMG it may well spark interest from investors from two perspectives. Firstly, it would be recognition by FMG of the potential value of the tenements, and should the mining giant decide to assist in funding exploration through a farm-in agreement or joint venture that would be financially beneficial for SER.